Keltruck’s loyal customer of 27 years, TM Logistics (TML) has taken delivery of 10 new 360LA4x2 MNA R Cabs operating with a 2 pedal opticruise gearbox – the first of their kind that Keltruck has delivered. The vehicles were supplied complete with a five-year repair and maintenance programme giving total peace of mind. 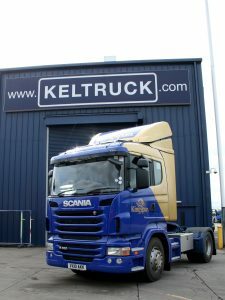 The 10 new Scania tractor units which were painted in Keltruck’s own modern paint facility will be used to support TML’s work with Kingspan Insulation, the world’s leading manufacturer of CFC/HCFC-free rigid phenolic and CFC/HCFC-free rigid urethane insulation. 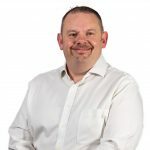 The deal was made between Mike Kelly, Fleet Sales Director of Keltruck and Adam Purshall, Head of Fleet for national supply chain specialist TM Logistics. Mr Purshall said: “We’ve had Scania vehicles in our fleet for many years and we have always found them to be reliable, fuel efficient and with an excellent dealer network. 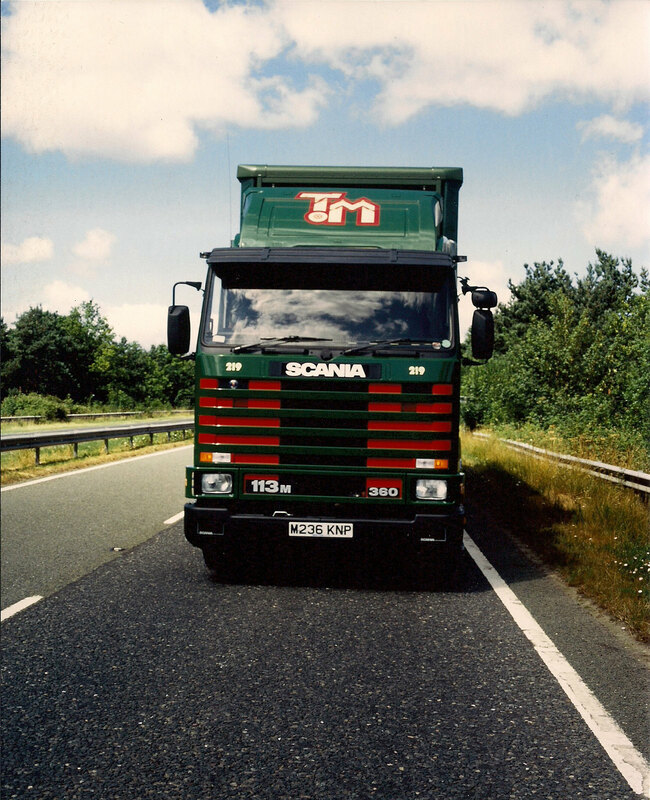 Nationally, TML operates a fleet of more than 200 vehicles and 300 trailers for many brands including Bosch Thermotechnology Ltd, Crown Food UK, Kingspan Insulation, Saint Gobain Isover and Plastic Omnium. 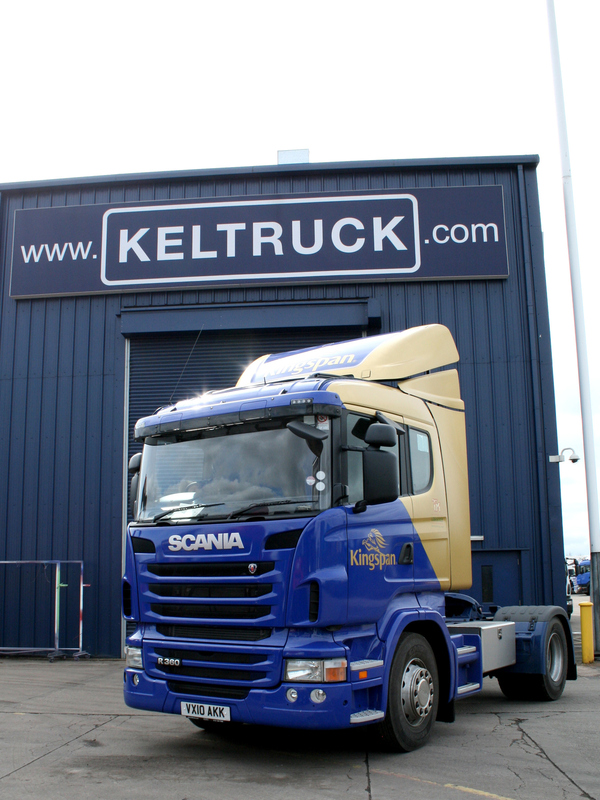 Keltruck Ltd supply vehicles as well as maintenance and accident repair support to TM Logistics.